Setsubun, or “節分” in Japanese, means the parting of the seasons. Every time the season changes, it’s called Setsubun, but the new year starts in spring according to the lunar calendar, so the most important Setsbun is in spring. It’s said that evil comes out at the turn of the season, so it’s very important to protect against it with a new milestone every year. This year, Setsubun will be celebrated on Sunday, February 3, 2019. So, what do you actually do for Setsubun? 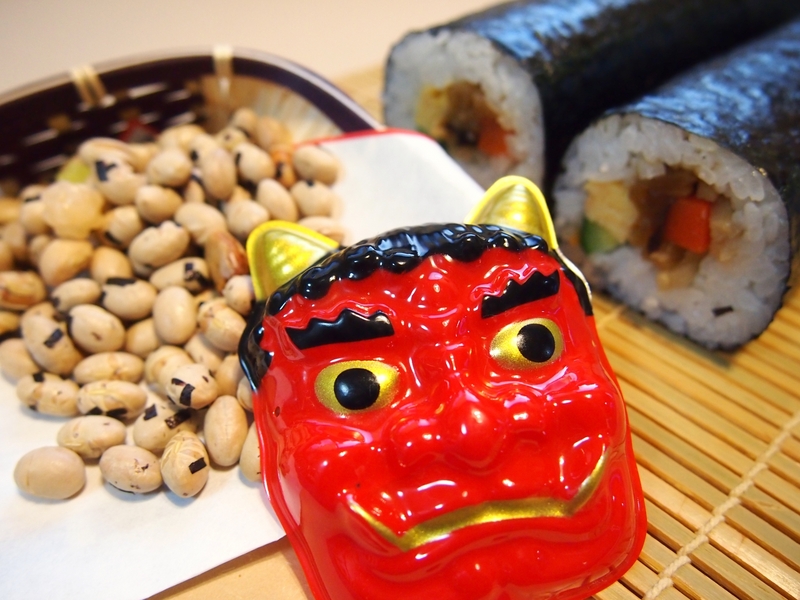 On Setsubun, we throw beans while saying “Oni wa soto, fuku wa uchi,” which means “Devils are outside, luck is inside.” This tradition is called “mame maki,” where “mame” means beans (think edamame) and “maki” means throw. When you do mame maki, you are driving evil out of the house and attracting good luck into the house. Sometimes, the father of the house will dress up as the devil and children will throw their beans at him! After you finish throwing the beans, you also have to eat some – but not off the ground! You have to eat as many beans as your age so you will get good luck and good health in the coming year. 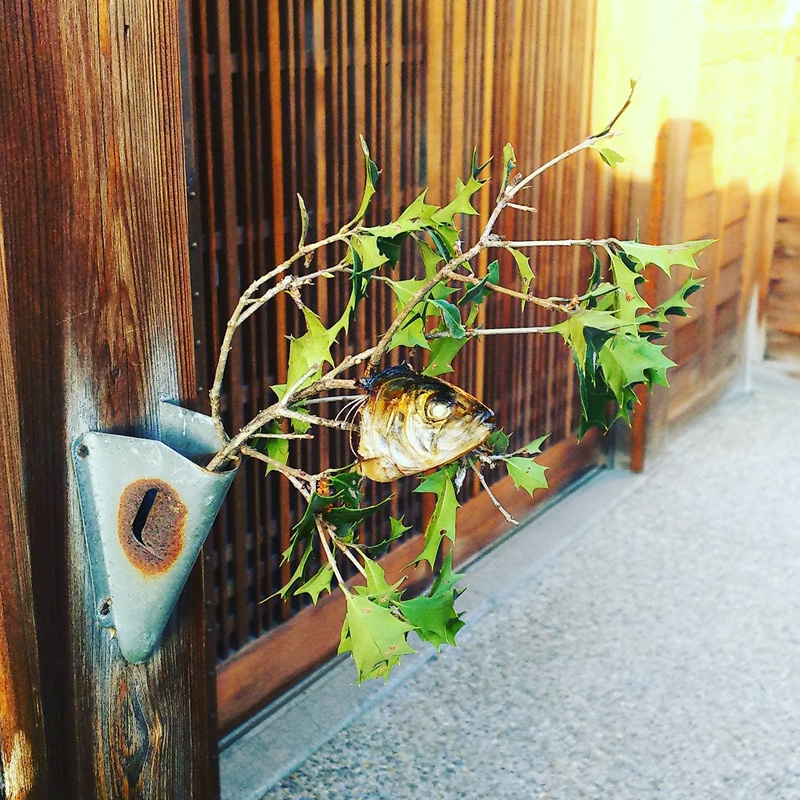 You have to eat ehomaki during Setsubun to get good luck, too! 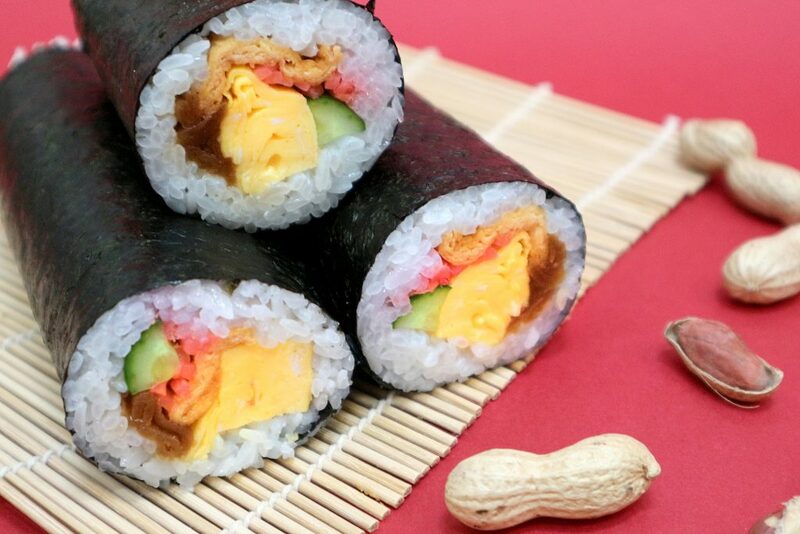 Ehomaki means “lucky direction” sushi, and it must have at least 7 ingredients of different colors. This is because you must eat ehomaki while facing this year’s lucky direction, and you are not allowed to speak until you have finished eating the whole roll. You have to stay silent and make your wish for the new year, because luck will escape if you talk. By the way, the lucky direction this year is east by northeast! There are also some people who believe that you should close your eyes while eating, and there are even some who believe you’ll get the best luck if you laugh while eating! 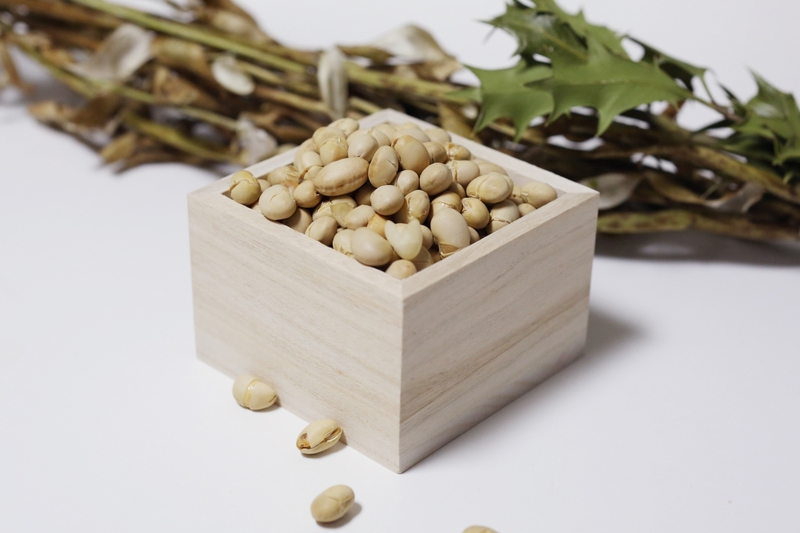 During Setsubun season, you can buy ehomaki at convenience stores, supermarkets, and fancy department stores too, so try it out! There are some very interesting flavors, such as all seafood ehomaki and even tonkatsu ehomaki! To protect your house, there are some people who put the heads of sardines and decorations of holly on the entrance of their homes so that demons won’t gather. If you say this outside someone’s house, you might be disinclined to go in, too! Customs and traditions vary depending on the region, but Setsubun is an event where parents can become demons, children can throw beans with delight, and the whole family can play and eat together. If you come to Japan during Setsubun, why not try experiencing the unique mame maki and ehomaki?